(((Margaret))) it’s a best wishes for the next journey card for Masako of Masuda Gallery in Kings X, she created the most elegant serene space, I will miss her! The reverse is as lovely and fragile as the front- constellation like. I love the echoing line below the pod. (((Hazel))) that echoing line is a damaged pod, I love how they imply the space inside them, there is much to explore with this beautiful plant! Love this so much, Mo! 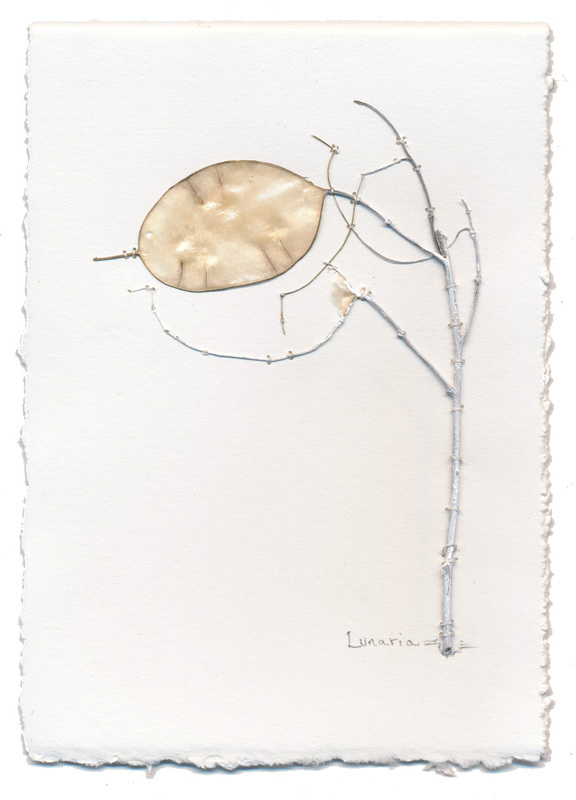 You know how I love to put (and see) plant materials and stitching in artwork! Beautiful!